travel-hints These tips from June and Tom can help you prepare for the trip to and from Naha. We hope your travels are pleasant and worry free. Travel Information Form – Please compete after you have made your airline bookings. Okinawa needs to know information about your travel plans. Okinawa Information – Read about part of the history of Okinawa. before your visit. Example if you want to visit on Oct 15, then apply on Sep 1. Wednesday October 26, 2016. Parade on Kokusai Dori Street. Join 5,000 uchinanchu as they march together and welcome each other back to Okinawa. We will meet each other, wear colorful hats and shirts. Form up at the Tsuboya school yard. This is next to the Makishi monorail station. Thursday October 27, 2016. Opening ceremony at Cellular Stadium. This is next to the Onoyamakoen monorail station. 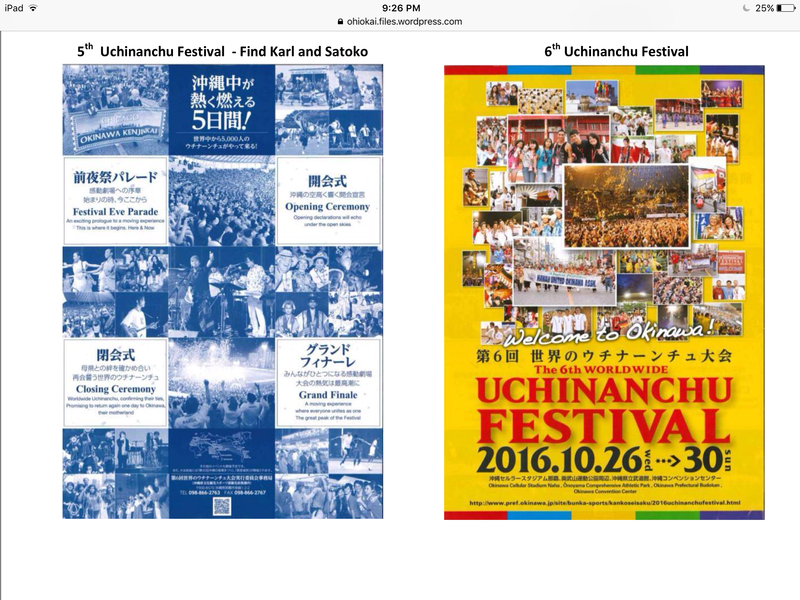 Enjoy live performances and welcome greetings from the uchinanchu leaders. You can expect popular entertainers and Eisa dancers. Past festivals have had dramatic starts with unexpected surprises. This is a time to set together as a group, relax and enjoy the show. You can arrive by monorail or taxi. You may also walk across the bridge from downtown Naha. Sunday October 30, 2016. Closing Cermony at Celluar Stadium. Closing performances to be announced. Group leaders. If you need additional info call any of these group leaders. Okinawa sounds and videos enjoy music and videos. Things to see in Okinawa. Here are some things to see. Japan Guide Link. Find things to do along with hours of operation for attractions. Use your bus pass to travel around the island. Some trips will be all day adventures. Check the schedules closely so you know which bus to take. June and I have been to and have enjoyed these sites. Some visitors will spend time in Tokyo. if so you may want to visit these sites. before your visit. Example if you want to visit on Oct 16, then apply on Sep 1. Plan to spend a few nights in Naha close to Celluar Stadium Onoyamakoen . You can avoid the need to travel and enjoy more of the festival and night life. Web site booking.com and hotels.com are convient ways to search for hotels. We have used it many times to find hotels to stay in. Bed and Breakfast link airbnb.com offers condos, apartments and entire homes for rent. Consider using and having different locations based on your travels. Use this site to find private rooms and full houses for rent. To get low cost tickets. Book tickets on Tuesday after 3pm. Travel early in the morning – before beakfast. Book 180 days before you travel starts. Book on a airline that has ANA as a partner. 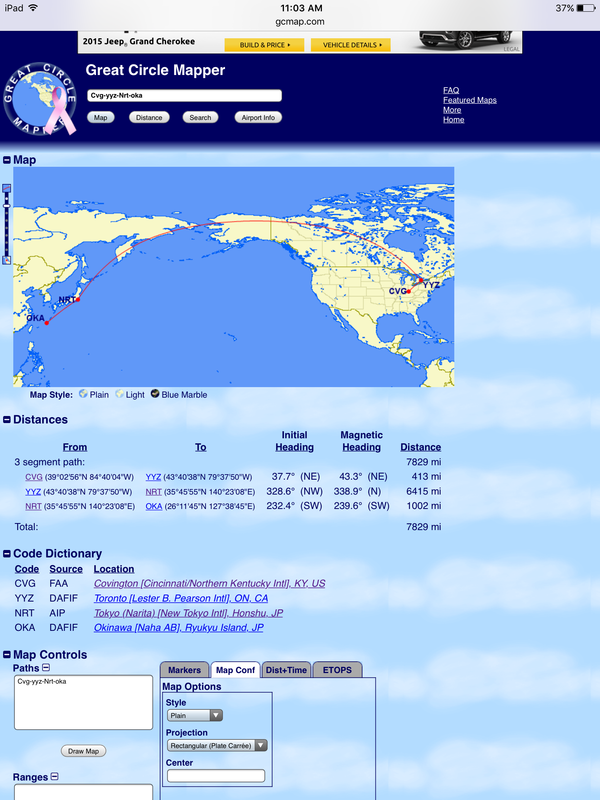 United allows you to book all the way to Naha, Japan. Book trip all the way to Naha. Use the Experience Japan ticket option to make side trips in Japan. Travel path Cincinnati to Naha Okinawa. 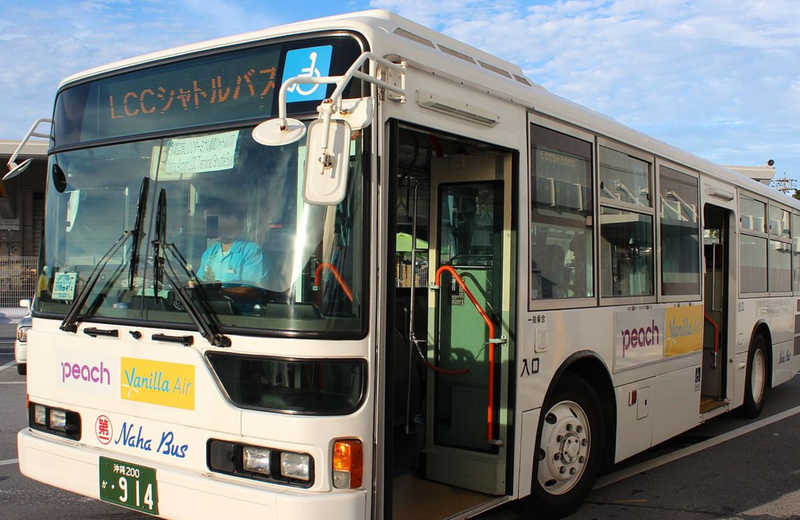 Use the bus pass to travel in Okinawa.